We might be a small school, but these Panthers have bite! 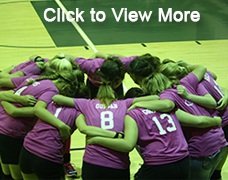 Our athletics program is an integral part of the total educational process here at Animas Middle and High School. Participation in team sports teaches students skills, sportsmanship, leadership, and the ideals of fair play and ethical behavior. Join us as we cheer on our Panthers! Animas High School is committed to an interscholastic athletic program based upon excellence, positive student interaction, and the promotion of athletics as part of a complete and well-rounded education program. 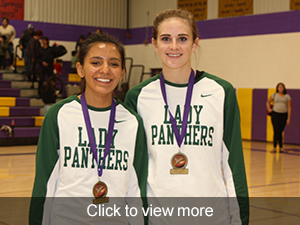 The Animas varsity girls basketball team played for the championship at both the Cliff and Reserve tournaments. Tierney and Naomi made the all-tournament team at Cliff, and Tierney, Joshlyn, and Naomi made the all-tournament team at Reserve. Way to go, girls! 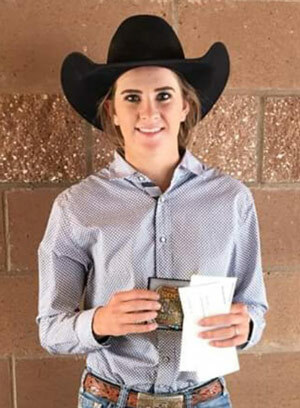 Animas senior, Tierney Washburn, is the Fall High School Rodeo Goat Tying Champion. High school rodeo is a part of the New Mexico Activities Association. Congratulations for a great fall rodeo season. 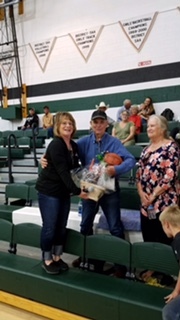 Animas High School honored Roy Hatch for 50 years of being a #1 Panther fan! Roy and his wife are leaving the Animas Valley to live in Safford with his daughter Charlotte. We thank him for all of his support in all sports for 50 years! Animas varsity girls basketball finished second in the Reserve Tournament with Tierney Washburn and A. Armendariez making the all-tournament team. Tell Swift made the all-tournament team for the boys. View or print a copy of your team’s schedule here. Please note that these are tentative schedules and are subject to change for a variety of reasons. We will try to notify people of changes via email, the website, or the remind app on your phone.